Kama Ayurveda is one brand that never has sales/offers. So, when I found that they are offering special gift boxes as a gift, I had to stock up my favorites and try something. 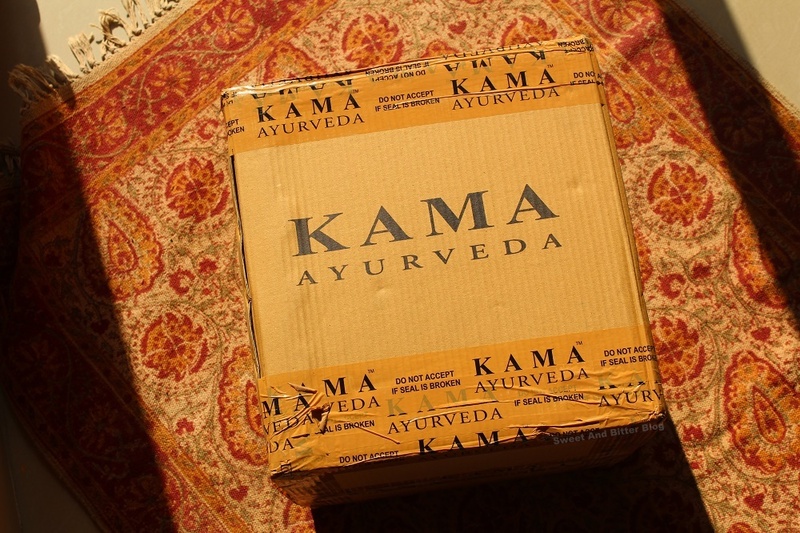 For Diwali and this festive season, Kama Ayurveda is retailing three special boxes. As far as I can remember, the only time they offered a gift box on purchase back in 2014. But, this time the boxes are grand. I must salute the person who worked on this because of its a collection of limited editions products in a beautiful gift box. I wanted two of the three boxes - Shubh Box and Kannuj Box. I skipped the Madurai Box. Subh Box which has four limited edition soaps - Haldi Brightening Soap, Chandan Ayurvedic Soap, Tulsi Natural Soap, and my favorite Nariyal! (JustHerbs also launched Coconut Soap which smells great.) But, the star of the box is the beautiful soap case. I loved it to the core. (Review of the box will be up in a week). The box is for Rs 1500. You can get it for free if you purchase Rs 4000. More about the box here. 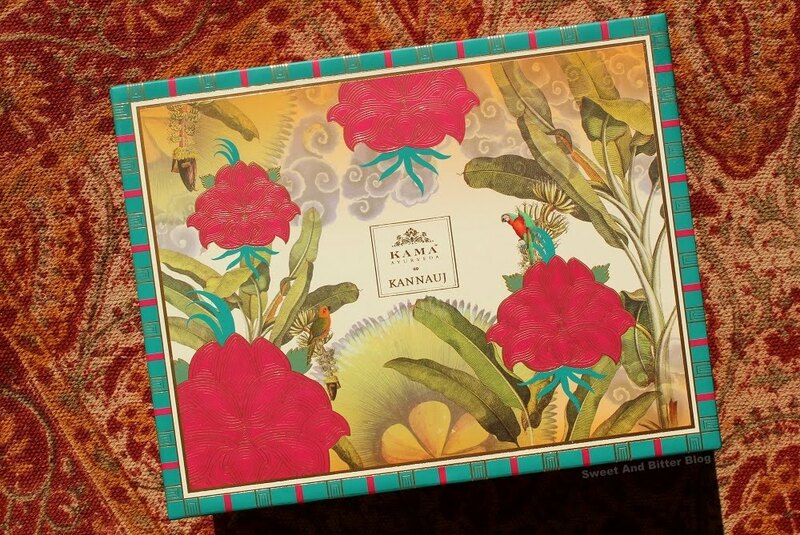 Kannuj Box because Kama Ayurveda makes the best rose-scented products as they use the Kannuj roses. 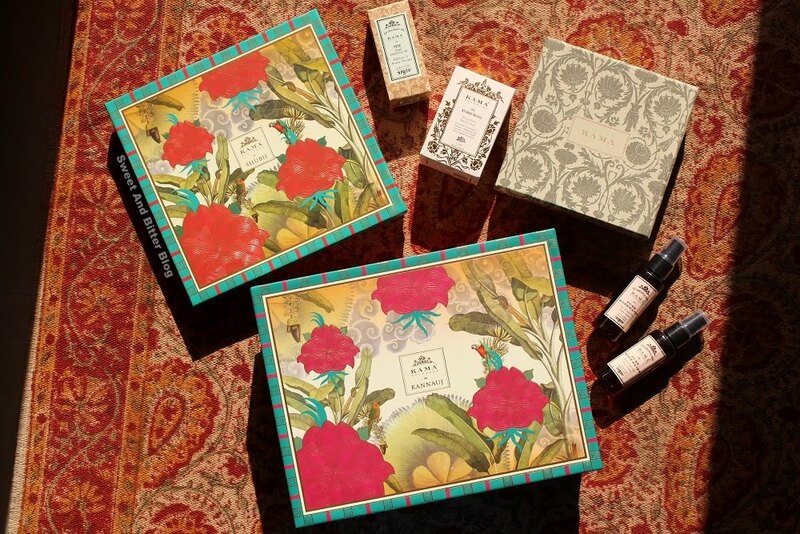 I have asked them to start retailing their rose essential, and I finally see the Rose Diffuser Oil in a gift box! The box also contains the Kannuj Rose Soy Candle. I wanted it since I saw them in the store in March. 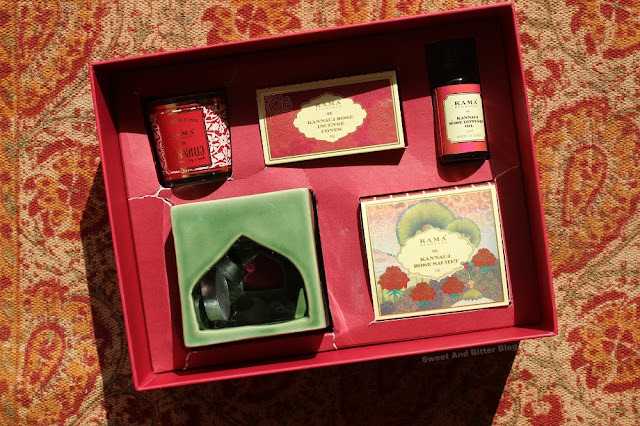 Kannuj Rose Incense cones with a ceramic stand, Rose Sachet, and a Ceramic Diffuser. This is for Rs 3000, but I received it complimentary because my today was above Rs 6000. More about the box here. 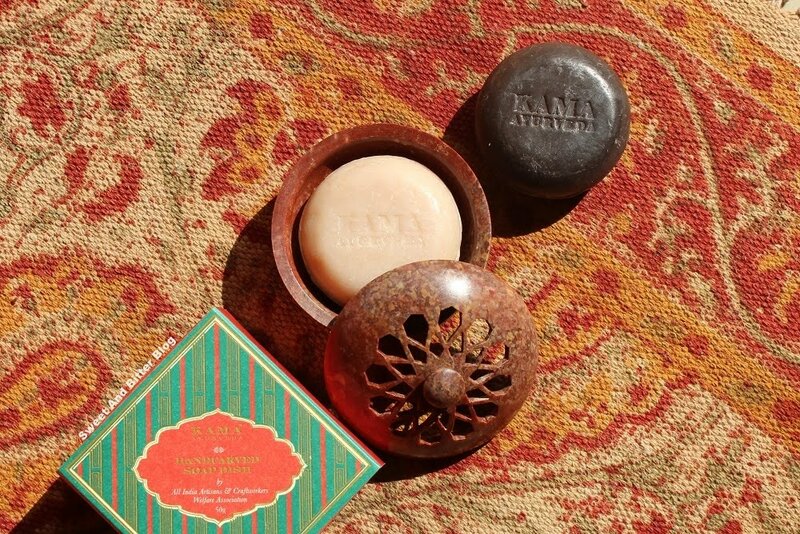 I found it OK to spend Rs 1500 for the limited edition soap and soap dish. This can be an excellent gift for Diwali. 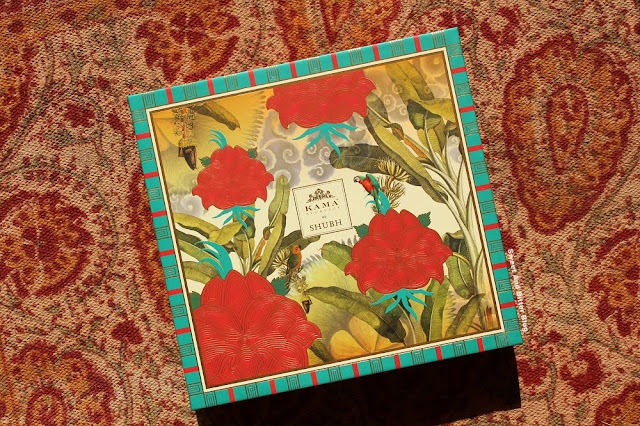 I was not going to pay Rs 3000 for the Kannuj Rose Box. I love the box but find the price little steep. I am glad that I got it complimentary. Kama Ayurveda Kumkumadi Tailam: This was my first Kumkumadi face oil. I first got it in 2014 and have lost count of the times I have repurchased this/ Hope you have seen the Kumakumadi Thailam review. I still trust this one the most when my skin is at its worst. They have again hiked the price from Rs 1800 to Rs 2295. Kama Ayurveda Rose Water: Another of my most repurchased product from the Kama. I got two of them in travel size. Kama Ayurveda Pine Essential Oil: I wanted to get the lemongrass but changed my decision in the last minute and added Pine. Since most floor cleansers are usually pine scented, you may or may not like. Let's see how I used it. Ideas and suggestions are welcome. 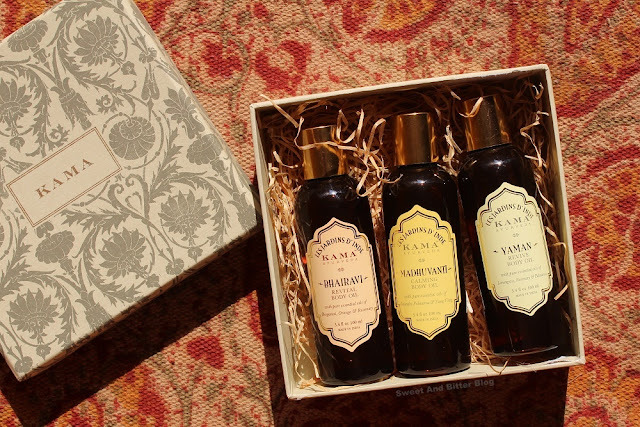 Kama Ayurveda Body Oil Gift Box: Because winter is coming and I love oil more than lotions. I purchased it online and not from the stores. I placed my order last Wednesday around noon, and I received it on Friday afternoon. Everything was properly sealed and packed. 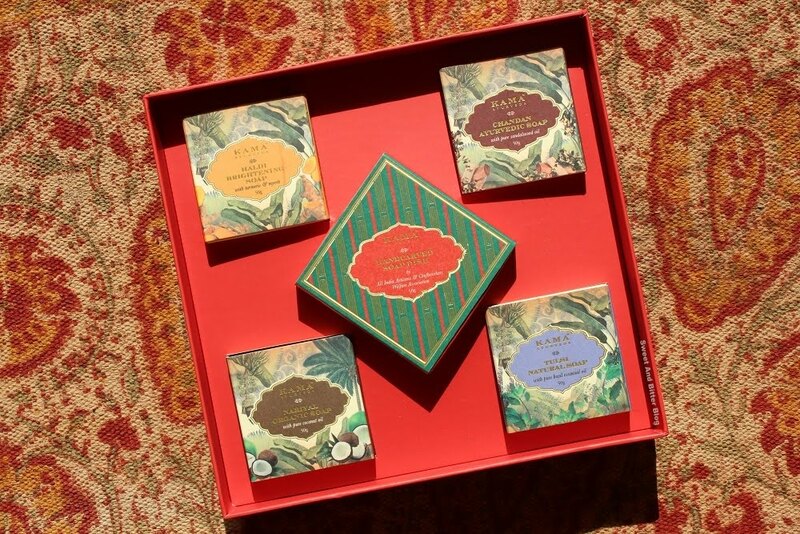 Do you wish to get those limited edition boxes? I will suggest that you make a backup of your favorites and get them as complementary. I had to get two of them so, buying one made sense. Which box is more exciting: soap or rose? I will be reviewing them shortly.